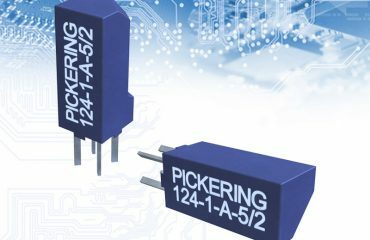 Suitable for voltage ratings of up to 3kV, the Series 119 range of single-in-line reed relays has been introduced by Pickering Electronics at Semicon West 2015. These devices are claimed to be the industry’s smallest high voltage, single-in-line reed relays available. The relay is intended for voltages considerably higher than standard small SIL relays, such as cable and backplane testers, mixed signal ATE or other applications where high voltage capability is required. The vacuumed sputtered ruthenium reed switches have a superb low level performance, making them an suitable choice where a wide range of signals are involved. The range is based on the long established series 109P style of plastic package with an internal mu-metal magnetic screen, allowing for high packing density. All Pickering reed relays have full magnetic screening which permits side-by-side operations. 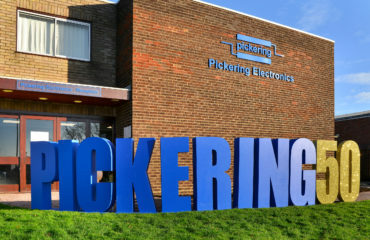 The Series 119 devices are made using Pickering’s unique SoftCenter construction. Four versions are available, all with either 3, 5 or 12V operating coils. 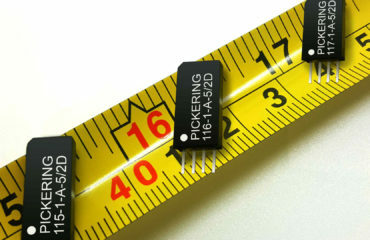 The 1 Form A, 1kV version has a package and pin configuration compatible with the Pickering’s standard 109P Reed Relay. These can be stacked side-by-side for maximum packing density. The other types have package lengths and pin configurations appropriate for their voltage ratings. 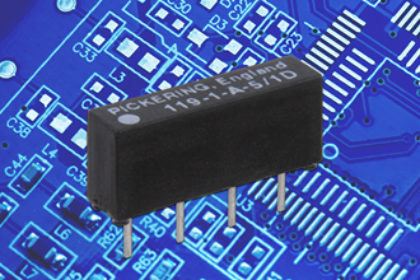 The relays available in surface mount, single-in-line, dual-in-line and many other popular package styles.